Finance Minister AMA Muhith on Sunday said that the country is yet to see a vibrant capital market, but a foundation of it has been laid. “I don’t say that we’ve been able to create a vibrant capital market in the last 25 years; but we succeeded in creating a foundation for that and I hope that a dynamic capital market will be established in the country soon,” he commented. Muhith made the remarks while inaugurating the “World Investor Week-2018” at the Krishibid Institution, Bangladesh in the capital on Sunday. Bangladesh Securities and Exchange Commission (BSEC), in accordance with a declaration of the International Organization of Securities Commissions (IOSCO), a global cooperative of securities regulatory bodies, is observing the week to create awareness among capital market investors. The country’s capital market experienced two major crashes prompting authorities to bring about reforms and the BSEC has been working for the last eight years to improve the market, the finance minister said. He stressed the need for raising private investment further to increase the country’s investment-GDP ratio from around 30 percent level to ensure more economic growth. He repented that the country’s investment level is still low in compared with neighbouring countries like India because of low private investment growth in contrast to public investment. He said a major cause behind the country’s achieving higher growth was that the government led by Prime Minister Sheikh Hasina has been in power for nearly last 10 years. 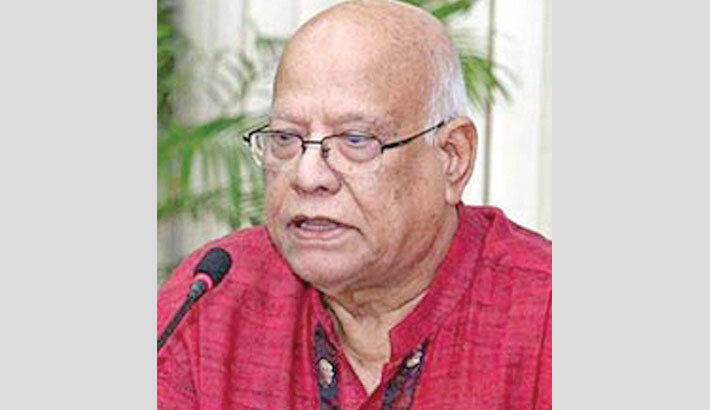 Muhith also expected that the country will be set on a path leading to a prosperous nation, if this government can continue for another term. “So, the next five years are very important for us. If everything goes well, we’ll be able to attain most of the SDGs target as well as reach near a developed nation by 2041 as dreamt by our Prime Minister,” he remarked. “But to fullfil the dream I believe there is a need for various types of actions and activities,” he added. Chairing the event, BSEC Chairman, M Khairul Hossain, said the stock market watchdof is relentlessly working for protecting investors’ interest. As part of the initiative, shares are being offered to the invetors at prices 10 percent lower than their cut-off price, he informed. Even the book building method might be scrapped, if found necessary for protecting investors’ interest, he also said. Speaking on the occasion, Financial Institutions Division Secretary Md Ashadul Islam urged investors to become more aware of the capital market and change the mindset of becoming rich overnight.